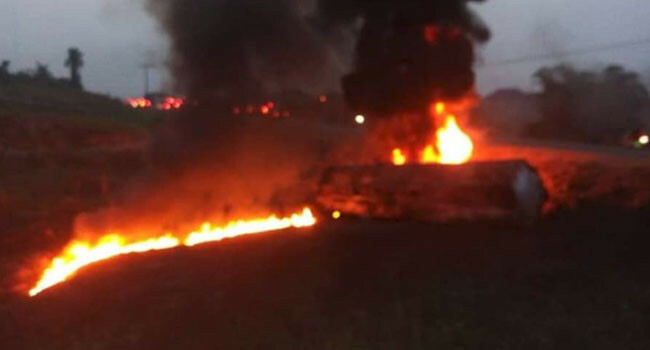 There are fears that many people have lost their lives after a petroleum tanker conveying petroleum products bursts into flames at Odukpani Local Government Area of Cross River state today January 11th. Some of the residents were scooping fuel from a fallen petroleum tanker when the explosion occurred. The number of casualties is yet unknown.